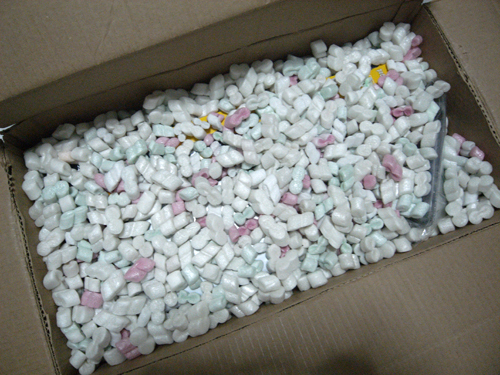 The huge box in which my present arrived! I’ve been wanting this for the longest time! The good thing about shopping online is that you can do it anytime, in my case, in the comfort of my room and pjs. Since I usually do my research online (and spend a long time on that too), it complements my shopping! 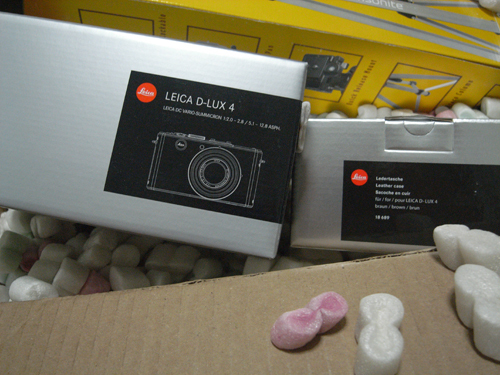 After getting friends to check out some camera shops in Singapore and also in Hong Kong (where apparently cameras and camera equipment are cheaper), I finally found the best deal for the D-Lux 4 on Amazon. 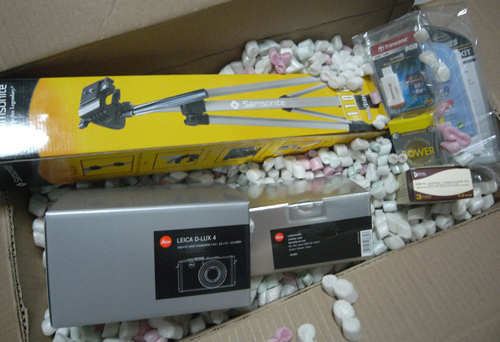 At US$899.99, I received a camera, a carrying case and an 8GB traveler’s package which includes a tripod, an 8GB SD card, flashcard reader, screen protector, adapter tubes and camera/video filter set. Wow, what a great bundle deal! This seller also offered free shipping in the US, so I figured I’d use vPOSTUSA to save on international shipping costs. 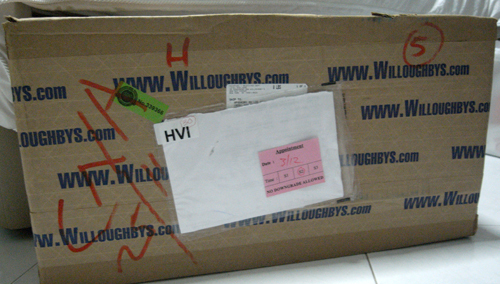 Besides, the seller did not indicate that he ships to Singapore and it wasn’t easy to contact the seller because there was no email address or contact form to fill to find out (I had to call his store in the US to ask about the camera’s warranty), I chose the more familiar freight forwarding service offered by Singpost. 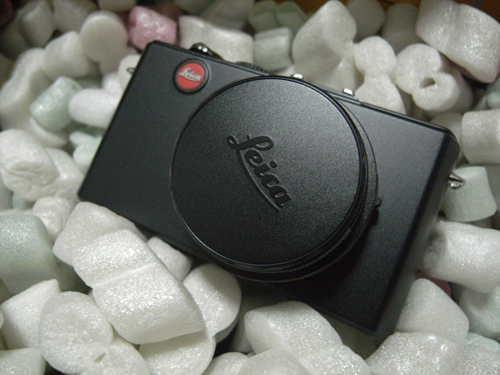 In total, I paid about S$1399.86 for the Leica D-Lux 4. There is a base charge of S$12.40 + $8.60 per kg (based on volumetric weight or actual weight whichever is higher, subject to a minimum charge of 0.5kg). In the case of my camera set, the actual weight is 3.5 kg. the volumetric weight is 5.6Kg, so the chargeable weight will be the latter. Therefore the shipping cost would be S$12.40 + (S$8.60 x 5.6) = S$60.56. Once the value of the item exceeds S$400, there will be a GST charge based on the Cost, Insurance and Freight (CIF) value of the item plus all duties payable in Singapore dollars. Will share more purchases when they arrive! 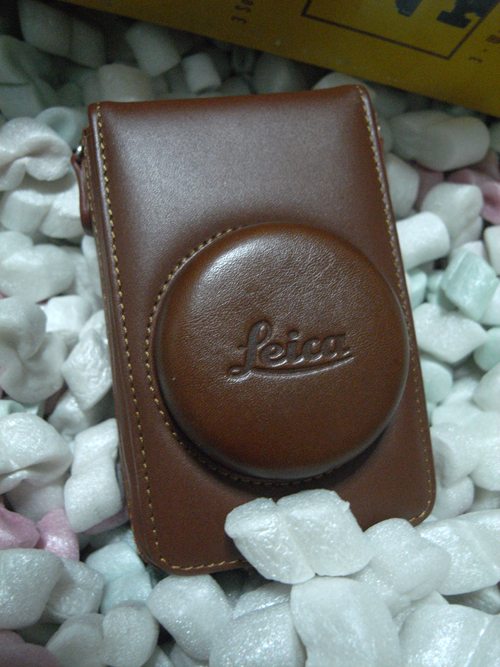 I have adored this old-school camera carrying case for the longest time! And the unassuming little toy that does wonders! Yes, I’m the Jetstar girl! It’s been really exciting shooting the commercial and I’d be sharing my travel pictures and experience with everyone soon. In the meantime, you have a reason to go on a holiday! Check out the commercial and the fare deals!